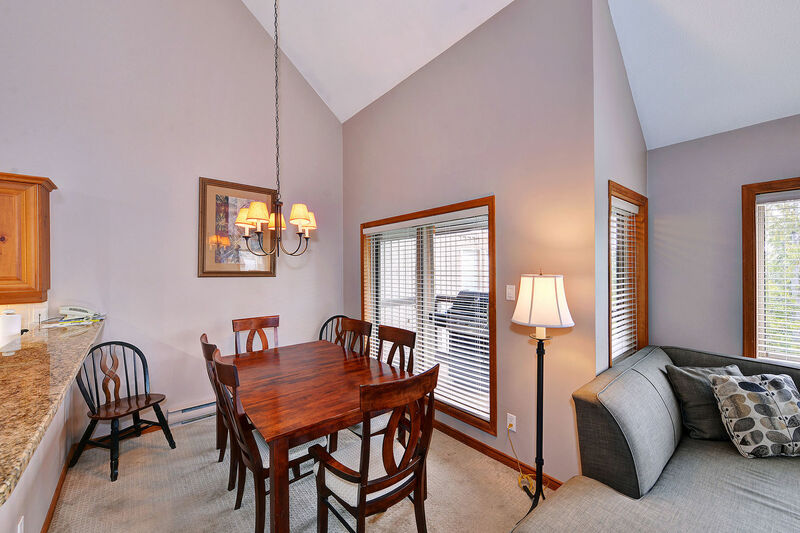 This residential style, 3 bedroom / 3 bathroom home is located in the Painted Cliff townhome complex in the Upper Village. 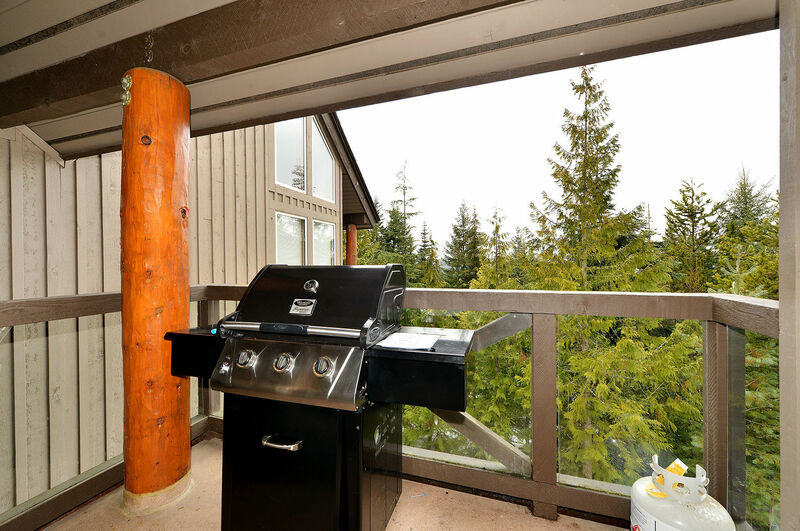 It features an open living & kitchen area, wood burning fire place, lovely forest view, patio with BBQ, and a very home-away-from-home feel. Its perfect location allows you to walk a few steps, hop into your gear and ride down to the loading point of the Wizard Express Chair in less than 5 minutes. Thank you very much for the accommodations at Painted Cliff. Easy access to the hill. 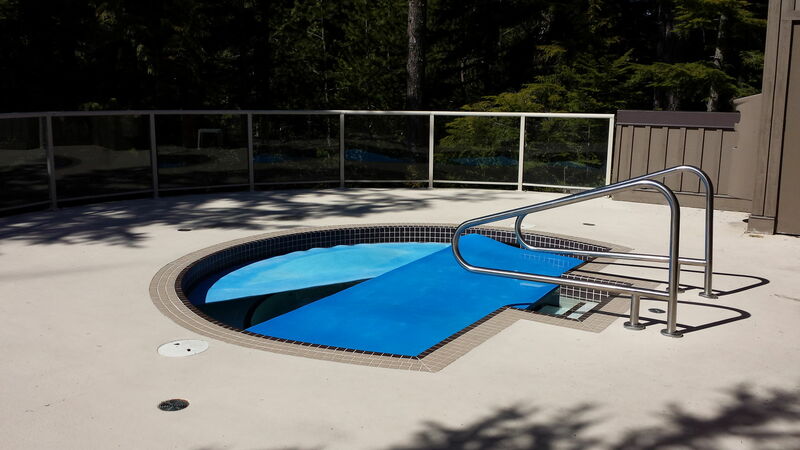 Conveniently located by the shuttle service to for easy transportation to Whistler Village. Every thing was clean and the Manager was easy to reach with questions. Highly recommended. Thank you for such a great review. We look forward to seeing you again soon and please do not forget to book directly with Blackcomb Peaks Accommodation and recieve 10% off your next stay. Unit not as clean as expected (especially the carpet.) Good supply of dishes and glasses; could use a colander and a good serrated knife. Clean and comfortable environment. It is a good place for a holiday. Great place, location was perfect. Easily slept 6 guys. We had a ton of fun! Would stay again! RESPONSE FROM BLACKCOMB PEAKS ACCOMMODATIONS: Thank you, Scott, for your 5-star rating. 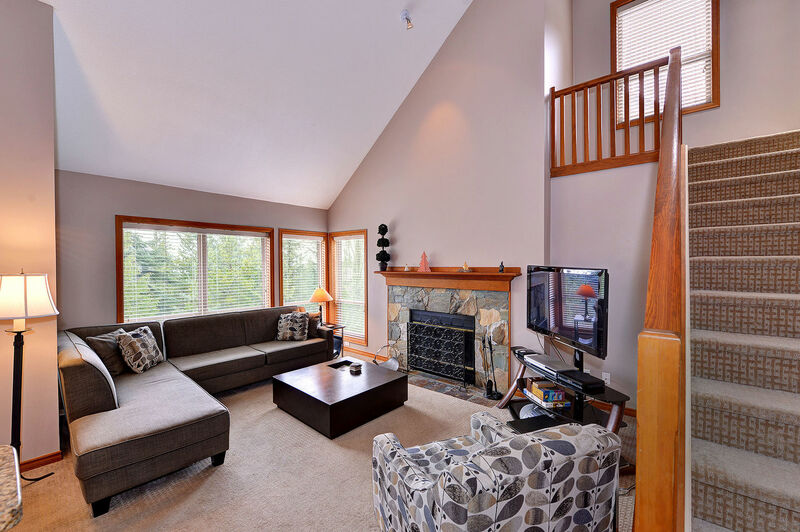 It is great to know that you found the Aspens location to be perfect and had a lot of fun in Whistler. Please come back soon. Your Blackcomb Peaks Team *** Please make sure to redeem your 10% return discount towards your next stay booked directly at the Blackcomb Peaks Accommodations site. We had 6 people who thoroughly enjoyed these accommodations. The condo was well equipped. The beds were comfortable. The view was sufficient. The flexibility of the staff was very much appreciated. 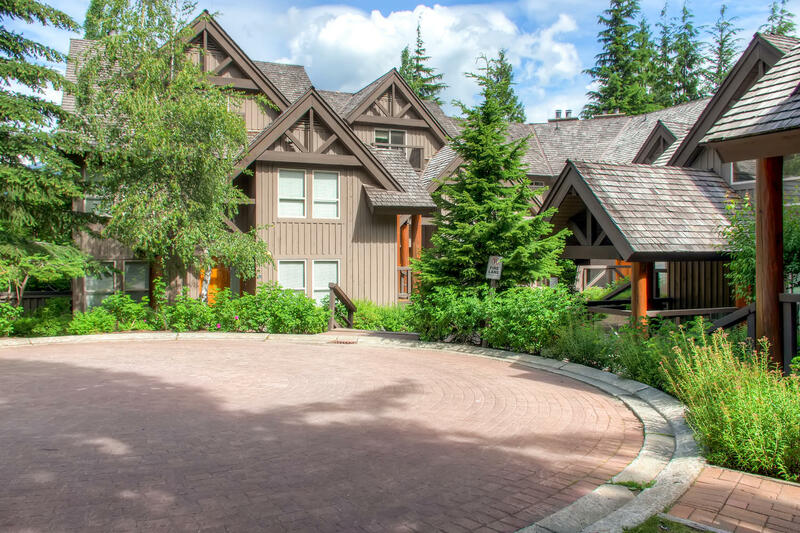 RESPONSE FROM BLACKCOMB PEAKS ACCOMMODATIONS: Thank you, Trip, for your great 5-star review. We look forward to seeing you soon. Happy spring. Your Blackcomb Peaks Team*** Please make sure to redeem your 10% return discount towards your next stay booked directly at the Blackcomb Peaks Accommodations site. Bathroom shower floor dirty, faucets loose, toilet runs , sinks drain poorly. 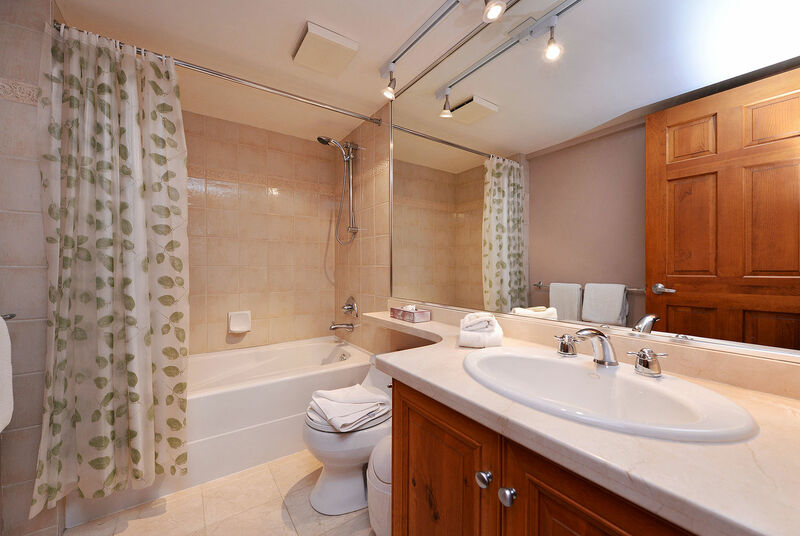 Check in and information inaccurate- one page says 3 bathrooms, one says 2. - location of hospital tub access incorrect. Unit more dated than expected. RESPONSE FROM BLACKCOMB PEAKS ACCOMMODATIONS: Thank you, Randy, for your honest review. We are terribly sorry about the issues that you encountered during your stay. We always encourage our guests to call our tollfree when issues arise as we can address many of them instantly. We have a full team on site. Having said that, we passed your feedback to relevant departments to ensure that similar issues are not repeated in the future. As for the information presented online about the rental suite, we updated all of the channels that we are in control of. 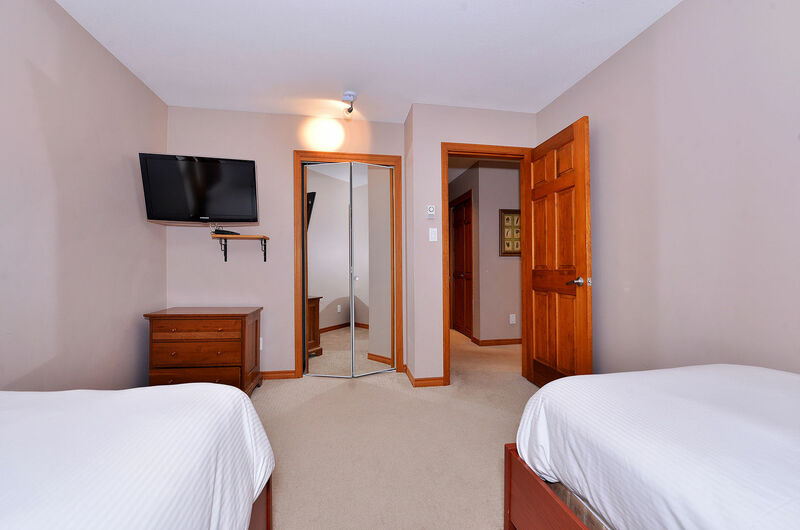 Unfortunately, we are unable to change anything that 3 party sites advertise, which is why we recommend booking rental homes that we manage, directly with us so guests can get complete and accurate information. Regardless of these issues, we trust that you enjoyed your vacation and Whistler in general. We would love to serve you again in the future and prove to you that we can do it better. All the best. Your Blackcomb Peaks Team*** Please make sure to redeem your 10% return discount towards your next stay booked directly at the Blackcomb Peaks Accommodations site. 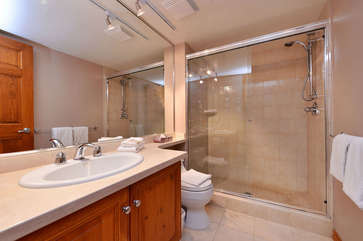 The accommodations were clean however the master bath sink barely drains and needs to be cleaned out. Also, the dish soap was almost empty so I had to purchase dish soap. RESPONSE FROM BLACKCOMB PEAK: Thank you, Jeffrey, for taking the time to review us. We are very sorry about the issues during your stay. We always encourage guests to contact our hotline instantly when they come across anything unsatisfactory as we can address most problems right away with our maintenance and housekeeping teams on site.There are dishwasher tablets provided under the kitchen sink however, the dish soap bottle should have been at least half full. We passed your feedback to the housekeeping team. We do hope you had a good time in Whistler overall and we look forward to seeing you soon again. Your Blackcomb Peaks Team *** Please make sure to redeem your 10% return discount towards your next stay booked directly at the Blackcomb Peaks Accommodations site. Our unit #16 was everything you would expect in such a rental. We vacationed in the summer and there was a barbecue on the deck, and fans in the living room and the bedrooms. 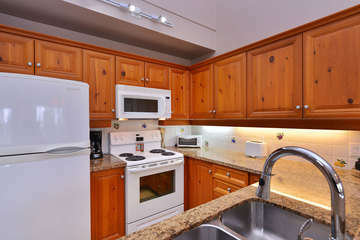 The unit is well furnished, and the kitchen had everything we needed during our stay. There is definitely a level of spaciousness in the living areas that is welcome if you have a crowd. 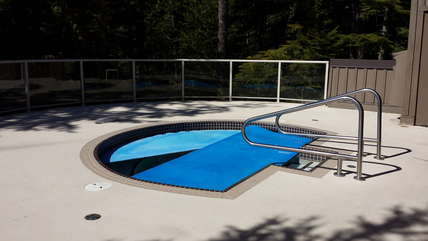 If you are staying at Whistler/Blackcomb and Painted Cliff is in your price range, I would recommend that you make a booking. RESPONSE FROM BLACKCOMB PEAKS ACCOMMODATIONS: We are so glad you enjoyed your stay! We hope to see you next summer.Your Blackcomb Peaks Team *** Please make sure to redeem your 10% return discount towards your next stay booked directly at the Blackcomb Peaks Accommodations site. 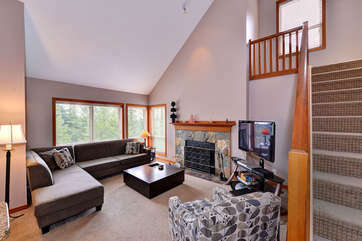 Super cozy, comfortable place in a great location just off Blackcomb. The place was stacked with the essentials in the kitchen and bedrooms. TV was nice and big to watch Sunday football…GO Hawks! We will definitely book this place next year! Maintenance very poor ie: dog hair, window out , patio screen broken out, light out, fridge broken. However, given the maintenance problems of the unit the management company tried their best to contact maintenance and appliance repairmen. 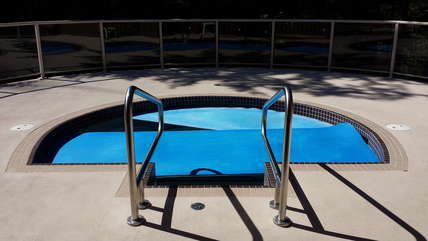 The Management Company through their quick response helped to soften the problems we encountered. Margaret, thank you for your feedback. We apologize for the problems you encountered and appreciate you letting us know about them during your stay. We will be sure to repair everything and ensure the cleaning company does a much better job in the future. Nice unit, very convenient to walk to the ski trail and to catch the public bus to Whistler. The unit did have some noise due to proximity to two roads, particularly annoying backup "beeping" from snow plows at 4am two different nights. So may not be a good winter choice if quiet is a high priority. The entranceway also is very small, makes storing equipment a bit hard. 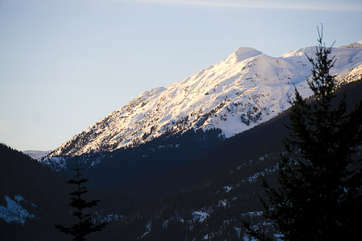 Blackcomb Peaks is always excellent, I use them regularly and recommend. Clean and comfortable - rooms may have been a little small but fine for a long weekend stay.<br/><br/>One of the steps up to the front door was a little loose and caused someone to trip. Thankfully no injuries. 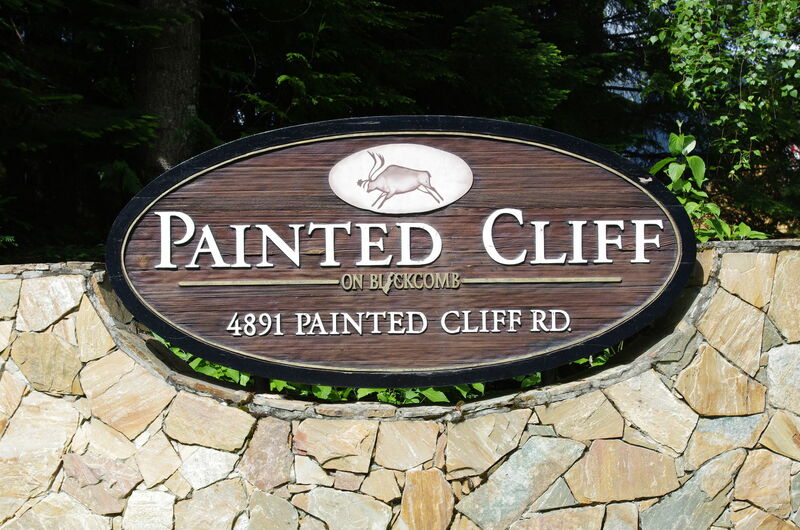 The location of painted cliff is awesome, it is truly a walk-in walk-out ski location. My family and I couldn't be happier with our stay. The bus shuttle was so convenient, it made going to town a pleaser. The rental had ample space for the 7 adults. The heated floors made the bare footed Hawaiians feel right at home. Painted Cliff is a wonderful property. Close enough to the Village to make you close to things but far enough up the mountain to give a sense of quiet mountain solitude. We had some minor issues crop up but the folks at Blackcomb were quick to correct them. We had a great time. The hot tub and location as a ski in ski out were great. A very short walk to skiing. BBQ ran out of gas, and someone showed up with a fresh tank in about 15 min. Excellent! We had a great time at this ski in ski out location. 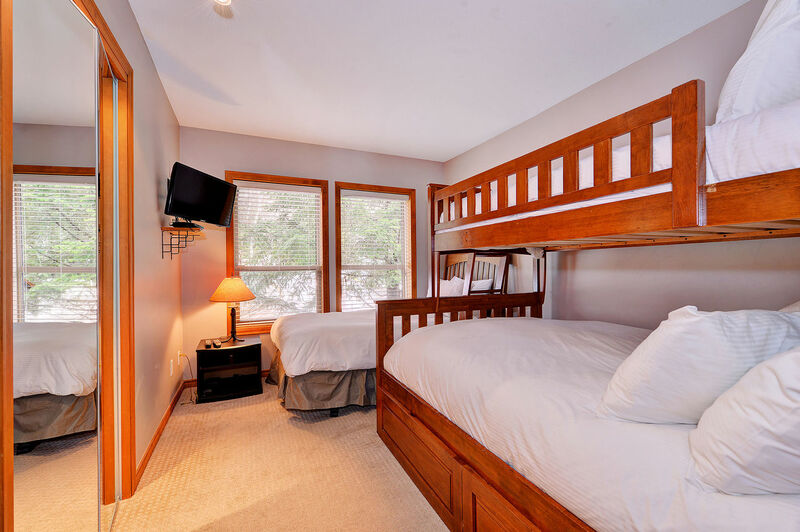 The accommodations where perfect for our two families. The communication with the rental agency was smooth and they happily managed a change of date request. We had a wonderful stay, the property management company was very professional and would definitely book with them again. The unit was actually better than expected. The wall are painted in a neutral color. The rooms are big and the unit was clean. We enjoyed our stay and found it quiet and located well. We rented for seven people but unfortunately there were only 6 chairs available to sit at the table which made it rather awkward. Otherwise it was fine. Stayed here for my fiance's birthday and it was great! the property was great but Roy was awesome! !<br/>His service was second to none and I would make it a priority to rent through him again. We stayed up in the until for a family vacation in August. The unit was wonderful. Great location Only minutes to walk down to Upper Village. Very quiet at night. Unit was getting new shingles and decks while there so little noisy during day. Property management team was very responsive to this issue for us. Definitely recommend. Fantastic place. Would recommend this to anyone. I went in the summer but winter would knock your socks off with the ski in ski out access. Great location and super family condo! Painted Cliff #16 is very convenient ski in ski out, an excellent uint for extended family (we had 3 generations with us). 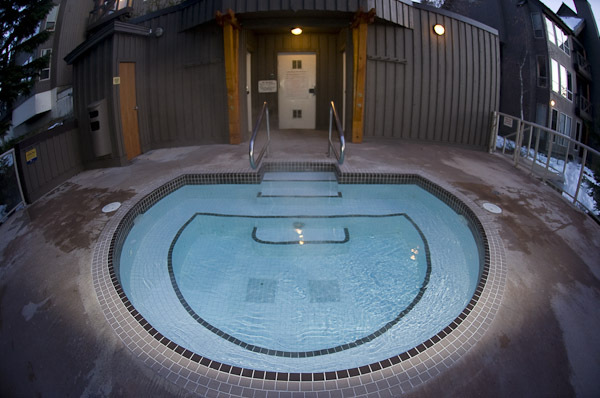 The common hot tub was very clean, nice size, good location. Walk to the Blackcomb base is manageable at the end of the day along the slopes. Painted cliff condos are well located on the hill, which is why we have stayed at these condos 3 times. This particular unit was average. No particular charm (contrary to other units), very plain. Adequate for the week when we are there to ski and not to lounge. We enjoyed the rental property fully. We had six people for 4 nights and had another 2 stay for one night. Plenty of room. 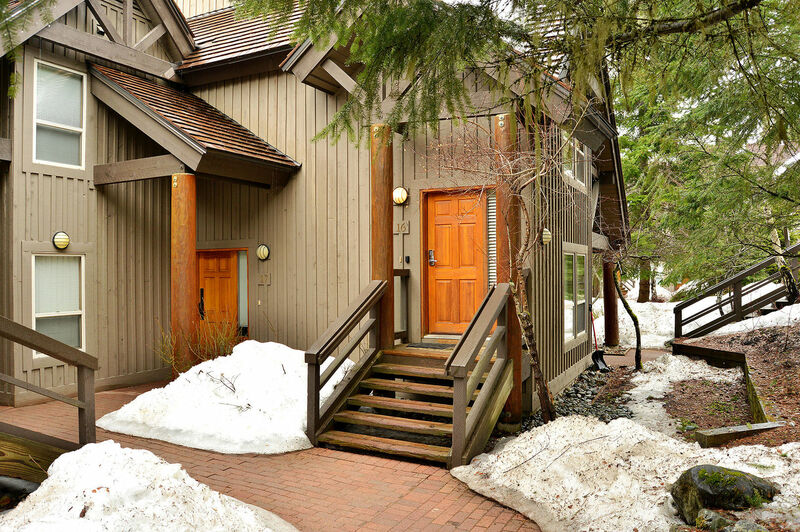 Would recommend this property to anyone heading to Whistler. 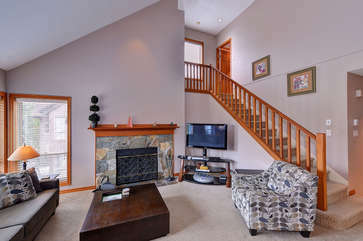 Great accommodations, easy access to the slopes. Great with a few suggestions given below. A couple of points.<br/>#1. As the unit accommodates 8 people the 6 chairs provided for the dining table placed constraints on the eating arrangements. Two stools or even a couple of plastic chairs would have made dining as a group of 8 more realistic.<br/>#2. The entranceway foyer is tinier than tiny requiring people to step up onto the carpeted stairs in order to shut the door. A protective carpet runner on these lower stairs would prevent concerns about removing footwear which could stain the carpet. Removing shoes etc on the wet porch is not a suitable option. Great location and loads of room for our extended family of 6. The property has a nice sized hot tub too for après skiing. Overall we were very happy with our stay and we would recommend it to others. 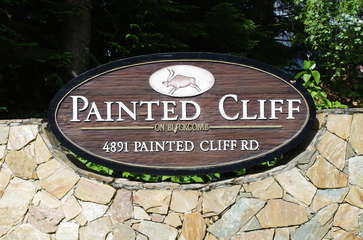 We enjoyed our stay at Painted Cliff and was not a long walk down the hill to the upper village. We were hoping that some amenities would be available for cooking but when we arrive realized there were no spices, oil etc. Overally, nice place. Great place where to stay with grand-children and their parents.<br/>Not brand new, as some carpets show wear and tear; but not necessarily a negative, especially when children spill some of their soup.<br/>Still, it will soon be the time to refresh the premises.<br/>The size of the unit is ideal for a party of 5 or 6.<br/>Walking to the village and back is not convenient but possible if one is in good shape; better to use the car.<br/>But this is the price to pay for a true "ski in, ski out".<br/>All in all, very satisfied. The place was great! We took a short walk thru the condo complex and we are right at the trail to ride down to the lifts. 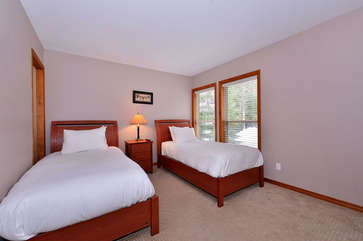 Beds and bedding were very good quality which made sleeping perfect. The sofa was very comfortable and big enough for everyone and even for someone to sleep on it. The management company was very easy to work with and gave us a couple extra hours to check-out which allowed us to ride the morning on our last day.